Challenge: New landing shelters were needed to aid in aviation landings. The location also had specific color requests to match standard aviation colors. Solution: Panel Built worked with C.W. Ferrell to make sure the project was exactly what the location needed. Taking into account mobility, color, and durability. 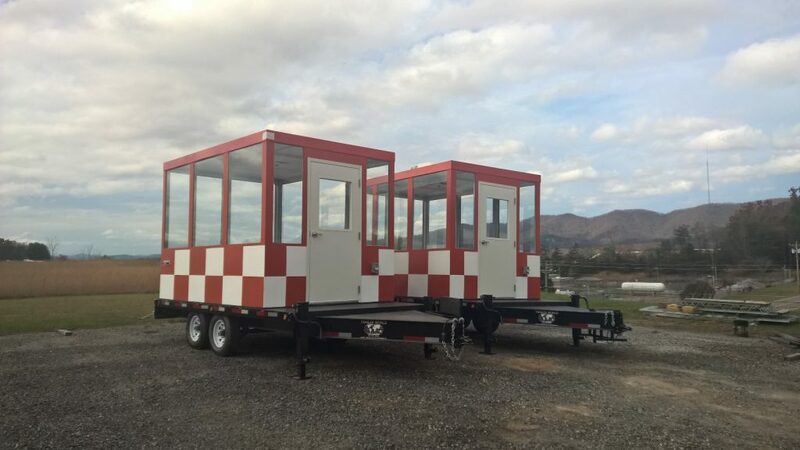 Panel Built Delivers: Two 8 x 12 welded steel booth structures were custom built to meet all of the customers needs. The welded steel provided the needed durability and the booth were trailer mounted to insure mobility. The booths were New landing shelters were needed to aid in aviation landings. The location also had specific color requests to match standard aviation colors painted standard aviation orange and white. 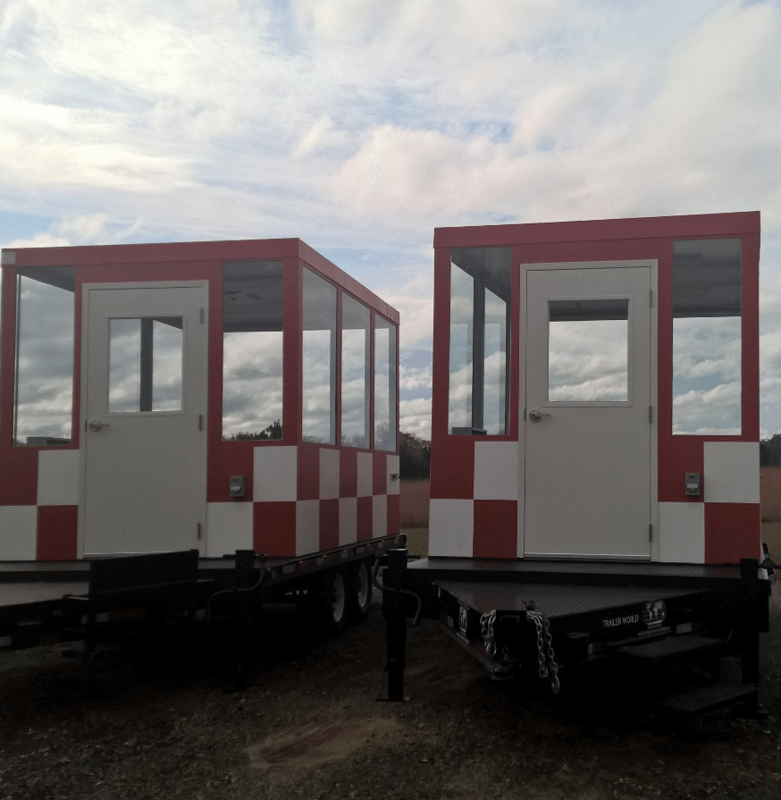 Project Specs: 5 X 10 guard booth with stone attached. A standing seam roof. Through wall HVAC.